Next stage, or continuation of the last stage? 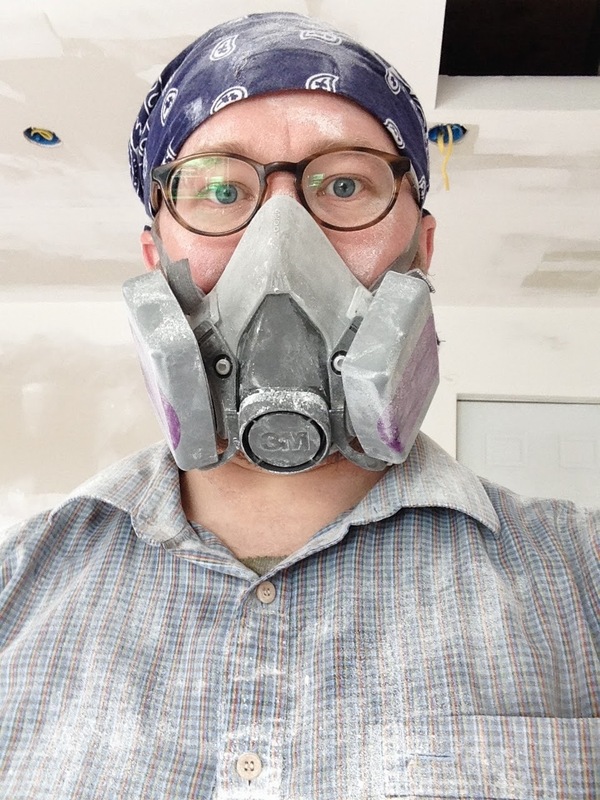 Andrew finished hanging the rest of the drywall, tapped and mudded the seams, then sanded them all down. It was quite the mess, which made for some nice pictures. I was not envious of all of the work he put into this stage. These pictures are from May 10th, when he was sanding the walls.